President Donald Trump, according to his press secretary, is a pretty funny guy. At least, that’s the impression you’d get, given Sarah Huckabee Sanders’ recent excuse regarding why Trump cited Wikileaks so many times during his presidential campaign. Sanders suggested in a recent interview that Trump doing so, then as a candidate for president, was merely him joking on the matter. After Wikileaks’ founder Julian Assange was arrested last week, Trump claimed to reporters — who recalled him saying on the campaign trail that he loved Wikileaks — that he didn’t know of the organization, which prints confidential government records on its pages. “I know nothing about WikiLeaks, it’s not my thing,” the Associated Press reported Trump saying. Yet that’s far from the case, if you look back at the record. Trump hailed the organization dozens of times, bringing them up in campaign rallies, interviews, Twitter posts, and other media appearances at least 137 times during the final weeks of the 2016 presidential campaign, according to research compiled by PolitiFact. 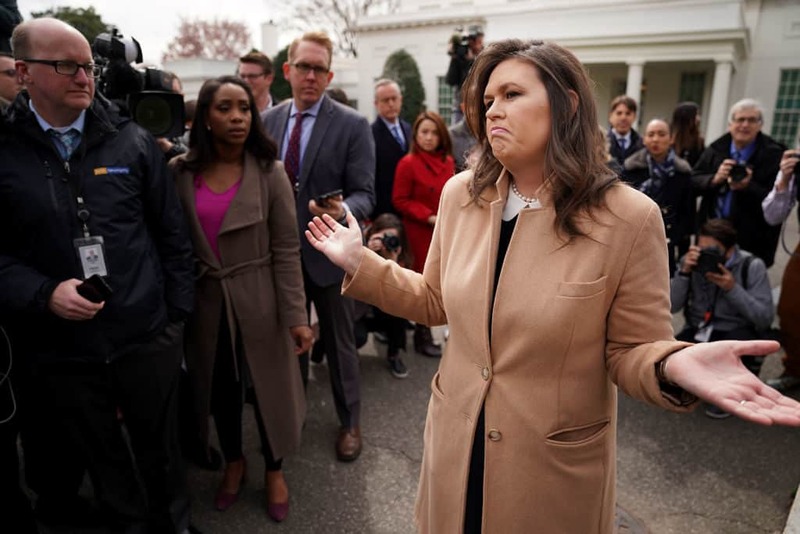 Speaking to Fox News’ Chris Wallace on “Fox News Sunday,” Sanders had an answer for all those mentions from the president: He was simply making a joke. The “Trump was just joking” line has been tried by this administration on more than a single occasion. He stated last month, for example, that his urging Russian hackers to find his Democratic rival Hillary Clinton’s emails during the presidential campaign was merely a joke as well. Other times Trump has used his humor as an excuse not to take him seriously? When he told police officers to be “rough” with criminal suspects, when he challenged then-Secretary of State Rex Tillerson to an IQ test, and when he said it was “treasonous” for Democrats to not stand and applaud him after his State of the Union address in 2018, according to reporting from CNN. The president claims that he has “learned” not to make such jokes anymore, “because with the fake news, if you tell a joke, if you’re sarcastic, if you’re having fun with the audience” you get taken too seriously, he explained, according to reporting from Vanity Fair.